Now in paperback! 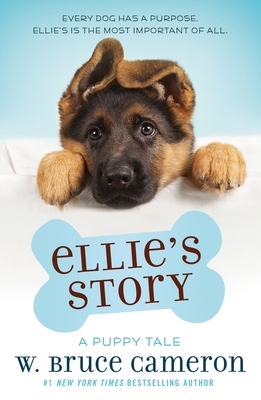 Ellie's Story is a heartwarming illustrated novel for young readers inspired by the New York Times bestselling A Dog's Purpose by W. Bruce Cameron. Adorable black-and-white illustrations by Richard Cowdrey bring Ellie and her world to life. A discussion and activity guide at the end of the book will help promote family and classroom discussions about Ellie's Story and the insights it provides about humankind's best friends.